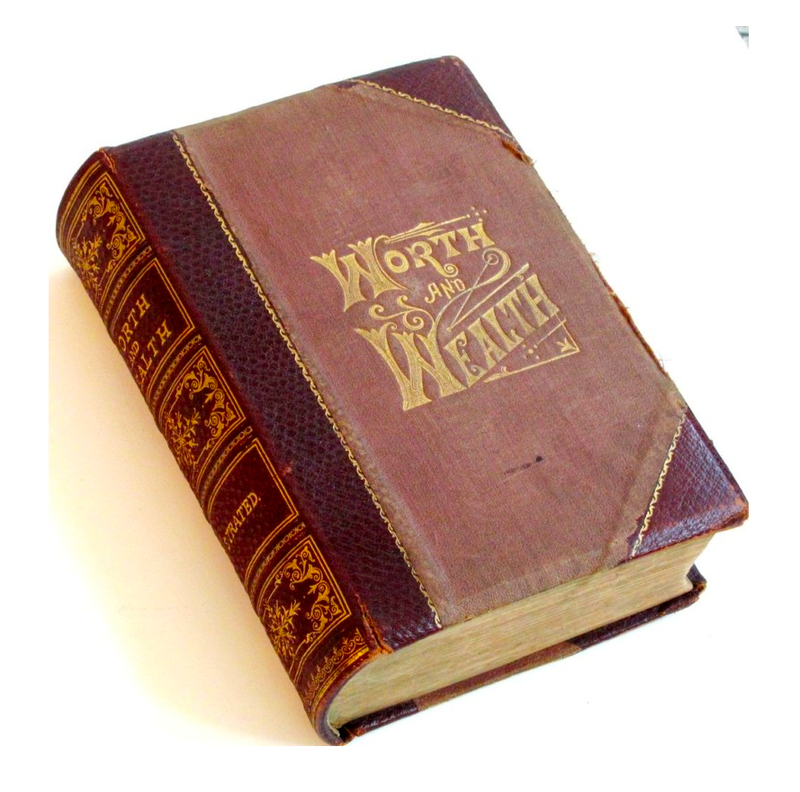 Worth and Wealth - IFA Vintage and Current Book Library - Index Fund Advisors, Inc.
Notes: A First Edition hardcover of practical and philosophical advice on finances and life itself. On the inside of the front cover is a most unique addition, a Presentation page from Father to Son. This alone takes you back to a time when a gift of this nature had very profound meaning. 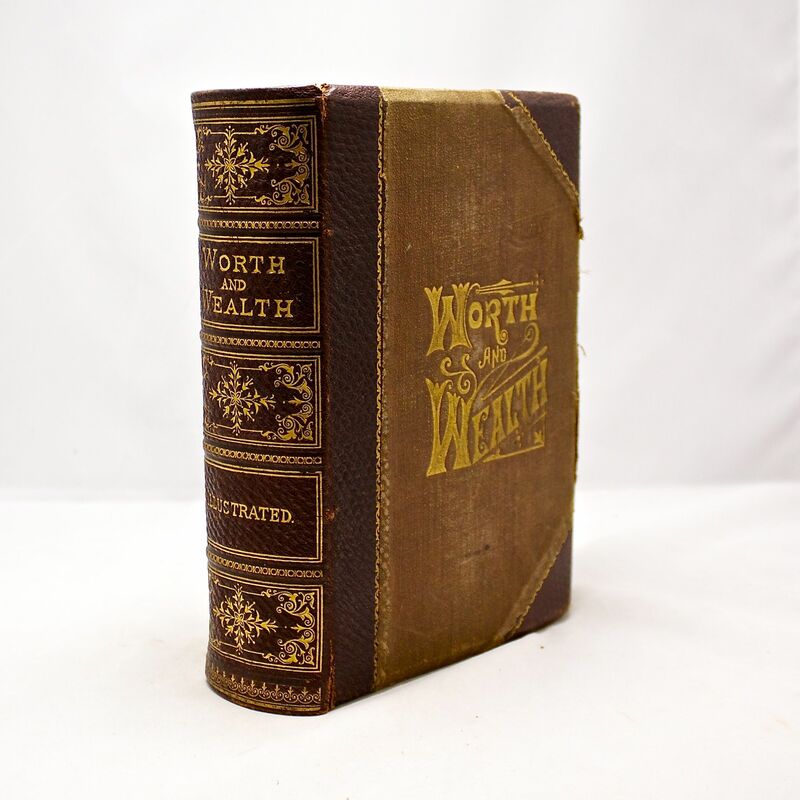 The cover is partially leather bound, at the spine and the coners, and the rest is fabric/cloth.